A 59-year old woman presented in an unresponsive state with presumed sepsis. A previous ECG was read as “normal”. How would you interpret this patient’s initial ECG? (Figure-1). What clinical entities should be considered as potentially contributing to the abnormal findings? Figure-1: Initial 12-lead ECG obtained from a 53-year old woman who presented in an unresponsive state with presumed sepsis. 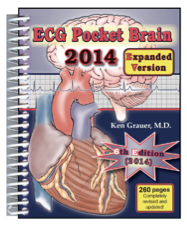 What clinical entities are likely to be contributing to the ECG abnormalities seen? NOTE— Enlarge by clicking on the Figure. Interpretation: We begin our systematic interpretation with assessment of the rhythm. This is somewhat challenging — since it is not immediately apparent whether an upright P wave is (or is not) present in lead II. Lead II is typically the most helpful lead for rhythm assessment. In fact, we define a rhythm as of sinus origin, if P waves are similar in morphology are upright in lead II. The ECG in Figure-1 provides one of the occasional instances in which the mechanism of the rhythm is not apparent from assessment of lead II alone — because the P wave in this lead is not clearly distinguishable from the end of the T wave. As a result, we need to look at other leads to determine the rhythm (Figure-2). Figure-2: Determination of the rhythm by using other leads … (See text). The lead that best displays P waves in Figure-2 is lead V1 (Blue arrow pointing to within the RED circle). There should be no doubt that P waves are regularly present in lead V1, and consistently conducting to the ventricles with a constant PR interval in this lead. The other lead in this tracing, in which we clearly see conducting P waves with a constant PR interval is lead I. Using the concept of simultaneous leads — we can drop a time line (the vertical RED line in Figure-2) from P waves that we definitely see in lead I. Doing so confirms that the slight notching seen in the terminal portion of the T wave in lead II is in fact an upright P wave, that has fused with the end of this T wave. So the rhythm is sinus tachycardia, at a rate of ~100/minute. PEARL: Next to lead II — the 2nd-best lead to look for P waves in, is lead V1 (which anatomically, lies in close proximity to the right atrium). Other leads that are generally very helpful for visualizing atrial activity include leads III and aVR. 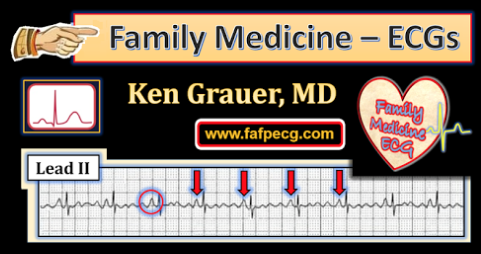 If the nature of atrial activity is not apparent from these 4 leads — we then turn our attention to each of the remaining 8 leads. This case provides a nice example of how leads I and V1 were needed to confirm sinus origin of the rhythm. The PR interval is normal (ie, not more than 1 large box in duration = not more than 0.20 second in duration). 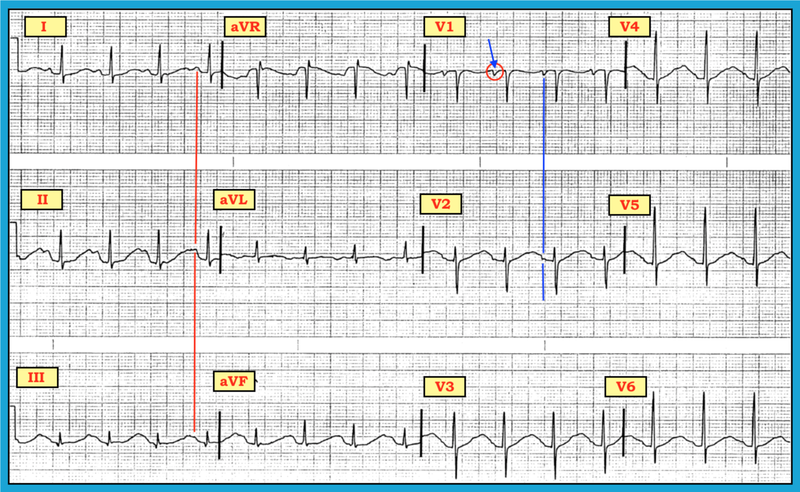 The QRS complex is narrow (ie, not more than 1/2 large box in duration = not more than 0.10 second in duration). BUT — the QT interval is clearly long! (Figure-3). Figure-3: The QTc is obviously prolonged (See text). Assessing the QT Interval: We review basic concepts for assessing the QT interval in our ECG Blog 89 (Turn to Figure-9 in this Blog post). 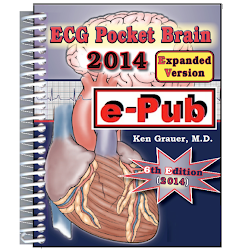 We address more advanced concepts about the QTc in Section 6.0 from our ECG-2014-ePub. For practical purposes, the QTc ( = the QT interval, corrected for heart rate) is prolonged — IF it clearly measures more than half the R-R interval. 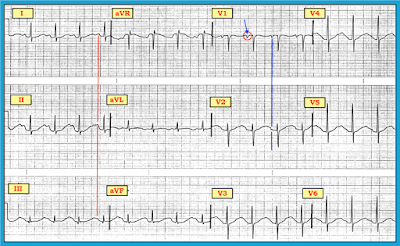 That there is marked QTc prolongation in this case, should be obvious from Figure-3. We select lead V2 for our measurement. Another lead could have been chosen. Although admittedly difficult to be certain of where the T wave ends — we suggest the vertical PURPLE line as this landmark. The double RED arrow clearly reveals the QT in lead V2 to comprise much more than half the R-R interval in this lead. Estimation of whether or not the QTc is prolonged is less accurate by the above “eyeball” method when the heart rate is faster (ie, over 90-100/minute). That said, despite a rate of ~100/minute in this case — the QT that we measure in lead V2 of Figure-3 is so much more than half the R-R interval, that despite the relatively fast rate, we still know that the QTc is very long. There really is no lead on this 12-lead ECG that allows us to clearly define the end of the QT interval (ie, where the T wave ends). That said, there still should be no doubt in this tracing that the QTc is very long. Axis — The mean QRS axis is about +40 degrees (a positive QRS complex, that is almost equally upright in leads I and aVF). 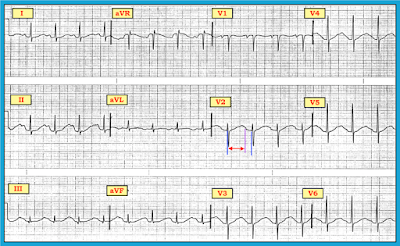 QRST Changes — A small q wave is seen in lead III; transition is normal (occurs between lead V2-to-V4); and there are nonspecific ST-T wave abnormalities in multiple leads. Clinical IMPRESSION: Sinus tachycardia. Marked prolongation of the QT interval — seen here with nonspecific ST-T wave abnormalities that appear to be new (since we are told that a prior ECG on this patient was reportedly normal). The principal abnormal finding on this ECG is the Long QT. The common Causes of QT Prolongation make up one of our KEY Lists. They are: i) Drugs; ii) “Lytes” (ie, electrolyte disorders — principally low serum K+ and/or Mg++ or Ca++); and iii) CNS catastrophes (including stroke, seizure, bleed, tumor, trauma, coma, etc.). We are told that the patient in this case has presumed sepsis — and, that she is unresponsive. 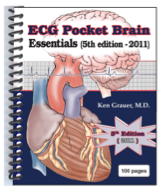 Therefore, her altered mental status might account for the prolonged QT that we see on her ECG (Could there also be an as yet undiagnosed ongoing CNS catastrophe such as stroke or bleed?). 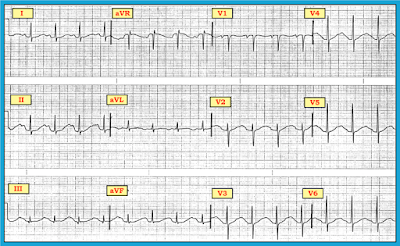 Additional clinical information is needed on this patient, to determine IF drug effect and/or electrolyte disturbance might also be contributing to the ECG abnormalities we see in Figure-1. Final NOTE: In addition to “Drugs-Lytes-CNS” — ischemia-infarction and/or conduction defects (ie, LBBB, RBBB, IVCD) may also produce QTc lengthening. That said, these findings will usually be obvious. But when the only (or the primary) ECG abnormality is a long QT interval — Think “Drugs-Lytes-CNS” as the likely cause(s). NOTE: The following blogs and reference materials provide more information on topics mentioned in this case. 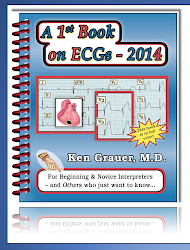 Basic Concepts for Assessment of the 3 Intervals (PR/QRS/QT) — See ECG Blog #89. 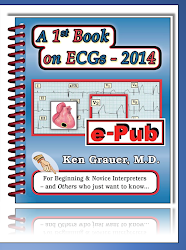 More on the QT Interval/Torsades de Pointes — Section 6.0 from our ECG-2014-ePub. “I’m not sure that the QT is prolonged, as stated in the blog. I think that a tall U wave is partially fused with the T wave, giving the impression that there is a very wide T wave (Figure-4). The main reason I suspect this is that there appears to be a ‘double- bump’ after the QRS in the chest leads. 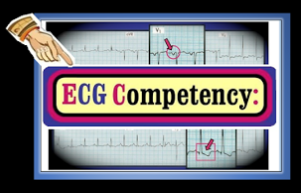 Based on the ECG alone, I would be suspicious of hypokalaemia." Figure-4: Dave’s Figure that was included with his Comment. My Reply to Dave’s Comment: Of course there may be a U wave within the deflection — even a very large one! 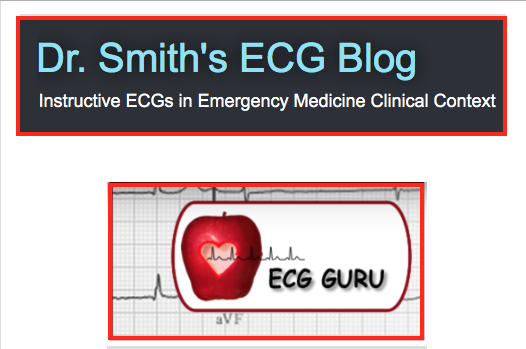 The main point of this blog post is to highlight the importance of recognizing that there is a prolonged QT interval — and that awareness of this should “trigger” recall of my Key List = Think Drugs-Lytes-CNS ! Even if the deflection Dave labels is a huge U wave — the QT interval is still significantly prolonged (Figure-5). Figure-5: What might represent T wave and U wave from Figure-4 (See text). Assuming that the suggestion of an “extra hump” is in fact a large U wave, and being conservative — I have drawn a RED curve to postulate the likely path (and end point) of the T wave in lead V2 (Figure-5). Using parameters of this RED T wave — the QT interval is still significantly prolonged. I measure a QT of 0.44 second, which corrected for the heart rate of ~100/minute — suggests a QTc ~0.56, which is still markedly prolonged. If electrolyte disturbance is the cause of very large U waves in this case — then with correction of low K+/Mg++ — one would expect to see progressive decrease in U wave size, with reduction of the QT (QU) interval. Along the way, much clearer distinction between what is the end of the T wave and the beginning of the U wave will probably be seen. I suspect that in this 59-year old woman with sepsis and unresponsiveness — a combination of “Drug-Lytes-CNS” Factors accounted for the long QT (QU) interval. 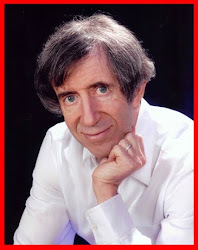 My THANKS to David Richley for his excellent comment!